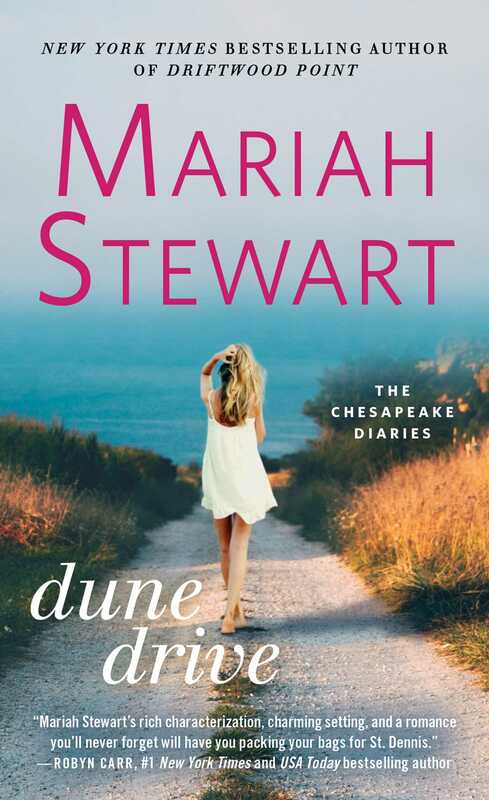 New York Times bestselling author Mariah Stewart returns to her beloved Chesapeake Diaries series with a charming beachside romance that is “everything you love about small-town romance” (#1 New York Times bestselling author Barbara Freethy). Chrissie Jenkins sat at the end of the pier on the spit of land known as the point at the end of Cannonball Island and watched the sun begin its drop over the Chesapeake Bay. It had been a fine April day, and the water was calm and smooth as glass and just as peaceful as Chrissie remembered from her childhood. After the past five unsettled years, the pink and lavender sky seemed like an old friend, and for the first time in at least that long, she felt like she just might be home. She tried to remember the last time she’d spent more than a day or two on the island, and figured it had been almost three years, when they’d laid her grandma June to rest. Of course, June Singer Blake had insisted on being buried in the Presbyterian cemetery in St. Dennis, right over the bridge from the island—no burial in some forgotten family plot on Cannonball Island for her. Chrissie smiled, recalling the flap June Blake’s viewing had stirred up. Before she died, she’d given Chrissie an envelope containing eight thousand dollars, and told her to make sure she bought the best coffin she could find. Most important, it had to have a pink satin lining. Grandma June figured if she had to meet her maker, she wanted to arrive in style. Chrissie’d thought it was a bit much, but it wasn’t her money, and she wasn’t the one about to leave this world. If her grandmother wanted a coffin with pink satin lining, that’s what she’d have. The extravagance had set tongues wagging in the small bayside town where her grandmother had spent her entire life. Of course, Doug’d had a fit when he found out what Chrissie’d done. “It was her money, and it was her last wish.” Chrissie’d tried to wrest away from him, but as always, the struggle had been fruitless. He was too much bigger, and way too much stronger. Chrissie’d never had a chance against Doug when he was angry. And it seemed the longer they’d stayed together, the more often he was angry. “It wasn’t my money, and it certainly wasn’t yours, so there’s no ‘we’ to talk about. And let go. You’re hurting me,” she’d pleaded. But he hadn’t let go, and he hadn’t stopped hurting her. Well, all that was behind her now. It had taken a while, but she’d finally found enough strength to leave. The best thing she could say about the five years she’d spent with Doug was that she never married him. On a Tuesday in late September, she’d left for work, and for the last time, locked the apartment they’d shared in West Orange, New Jersey. She’d left behind everything she owned except what she’d been able to move out over the preceding month, secretly, piece by piece, in her bag, and stashed in her locker at work. That last day, she’d gone into the restaurant as usual, but at the end of her shift, she’d asked the owner if she could speak with him in his office. He’d pulled up the right sleeve of the white T-shirt she’d been wearing and exposed an ugly circle of purple and yellow bruising on her upper arm. Chrissie’d looked away, unable to meet the eyes that knew her story without her having said a word. “You go, and you don’t look back, hear? We all love you, honey, but the most important thing is that you’re safe.” Rob’d gotten up and gone to the filing cabinet that stood inside the door. He pushed it aside to reveal a wall safe, which he opened with his back to Chrissie. She heard it click when he closed it again. “Here’s what I owe you for this past week, some severance pay, and your Christmas bonus.” He pressed a stack of bills into her hand. Chrissie nodded. One more hug, and she’d tucked the envelope into her bag and opened the office door. “Did you say good-bye to anyone on the floor?” he’d asked as they’d stepped into the short hall from the office to the kitchen. “No. Like I said, if—when—Doug comes in and asks, if no one knows anything, no one has to lie.” Besides, it wasn’t as if she’d made any real friends other than Rob and his partner, Jim. Friends asked questions, friends expected to spend time with you, wanted to share confidences. Doug would never permit her to share her time—or her thoughts—with anyone but him. Rob had recognized her situation immediately, and though they’d never spoken about it, Chrissie had known he’d help her if it came to her needing to quietly escape—and he had. “Stop. Just go. Be safe. Be happy. Find another restaurant and cook amazing food.” He took her face in his hands and added, “Find someone who loves you the way you deserve to be loved. And never doubt for one minute that you deserve to be loved, Chris.” He opened the door for her and she walked out. “Let me know when your feet hit the ground,” he’d called to her. There were exactly thirty-two steps between the door and her car, and she’d counted every one. When she got into her old Nissan sedan on that early autumn night and locked the door, she felt ten pounds lighter. In another few hours, she’d be lighter still. Once she crossed over the bridge from New Jersey into Delaware, and on into Maryland, she’d head for the Eastern Shore of the Chesapeake, and the only place she’d ever really felt safe. It had been fate, she’d decided, that her cousin—second cousin, really—Lis had called with an invitation to her wedding just as Chrissie had faced the inevitable conclusion that it was time—past time—for her to move on. Her relationship with Doug had been steadily declining as his drinking and drug usage had accelerated, and she’d realized several important truths: Doug was an alcoholic and a drug addict; he was never going to change; their relationship had long been over. And the biggest realization was his abuse of her was escalating and would end in either her serious injury or her death. The when to leave, the how, the where to go, kept her wide awake every night as she examined every possible option, but it all became clear with that one call from Lis. She’d been surprised by the call—she and Lis hadn’t seen each other in years, but they’d been friends when they were younger. Not particularly close friends, but friends, the way you are with cousins who are the same age with whom you spend the summers. The more she thought about it, the more she believed it had been fate that had prompted Lis to pick up the phone. She suspected perhaps Ruby may have been behind it, but it hardly mattered who or what was responsible for opening an escape hatch for her. She’d never told Doug that her family’s roots went deep on the Eastern Shore, and with no paper trail regarding Lis’s wedding, he’d have no way of finding out where she’d gone. He knew she and her mother had lived outside of Pittsburgh, but he had no idea that her mother had been born elsewhere. While he’d been furious about her having carried out her grandmother’s last wishes, as always, he’d shown no interest in where Chrissie was going, since it didn’t involve him and there was nothing personal to be gained. When the call from Lis had ended, Chrissie had made a call of her own. “I know who it be.” Ruby had sounded as if she’d been expecting the call, and perhaps she had. “I’d like to come for Lis’s wedding, Gigi. Could I stay with you for the weekend?” Chrissie had asked. Chrissie’d broken down and sobbed after the call ended. While she and her mother’s family had never been particularly close, she’d always looked up to Ruby with a combination of awe and trepidation. Besides her rumored prescience, Ruby was one hundred hearty years old, still in good physical health, and sharp as the proverbial tack. Her piercing green eyes with their steady gaze never seemed to miss a thing, and her regal bearing alone was intimidating to an awkward child like Chrissie had been. She’d not been a faithful visitor to the island, yet when she arrived, Ruby had welcomed her with open arms. She hadn’t realized how much she’d missed the island’s sights and sounds, the smell of the bay, the distinctive dialect spoken by the old ones, the sense of peace she’d always found there. Most of all, she’d missed Ruby. It would have been nice to have had a big brother growing up, though. Chrissie had no memory of him, and that made her sad. She’d been barely a year old when Stephen had picked up the then-four-year-old Luke and left their home in Salisbury, Maryland. Over the years, Chrissie had searched for Luke on social media, but she’d never found a trace of him. No Facebook, Instagram, or Twitter accounts that she could find, and nothing for Stephen, either. It was bizarre, she thought, that neither father nor son had left a footprint anywhere. She hadn’t been aware that anyone could fly so far under the radar these days. She stood and brushed off the back of her jeans, pulled down the sleeves of her sweatshirt, and picked up her sneakers. She retied the ribbon that held back her dark blond hair, and with one look over her shoulder at the setting sun, she walked the length of the pier and hopped onto the cool grass. Less than seven months ago, the point had been lit up like a thousand Christmas trees, a tent set up down near the road, and chairs had lined the lawn area for Lis’s wedding. There’d been fairy lights in the trees and happy chatter, a string quartet, and later, in the tent, a band. Now there was only a light breeze shushing through the pines and the occasional caw of a gull to break the silence. She passed the old cottage that Lis and her new husband, Alec Jansen, had renovated, the house where Ruby and her husband—known to all as Ruby’s Harold—had raised their family. Chrissie’s grandmother, Mary Elizabeth, had been one of their daughters, as had Lis and Owen’s grandmother, Sarah. Chrissie remembered playing there with Lis when they were little girls. The cottage had been uninhabited then, Ruby and Harold having moved to the general store when they took it over after Ruby’s mother passed away. Sometimes Lis and Chrissie had pretended to be Mary Elizabeth and Sarah, though they’d never ventured upstairs to the second-floor loft, where the Carter girls had had their dormitory-style bedroom. There were rumors among older folks on the island that the ghosts of the Carter children who’d died young—Gloria, at age eight, and the stillborn son they’d named John—had never left the only home they’d known and came out at dark to reclaim their space. Chrissie wondered if Lis and Alec had made their acquaintance yet. Chrissie skirted around the marsh where red-winged blackbirds guarded their territory on swaying dried fronds of last summer’s cattails. She wrinkled her nose at the first faint whiff of decaying organic matter—crabs, seagrass, a fish dropped by a gull and forgotten—and turned her face to the bay for a deep inhalation of salt air. As the days grew warmer, she knew the scent would intensify. Across the sound, the pleasure boats had been put to bed in the marina, the stragglers easing into their berths before the sun set and darkness settled over the bay, but up and down the uneven coastline, fishing boats had been moored at private docks for hours. Chrissie knew they’d be leaving before dawn to get a jump on another workday. She’d watched that same scene for as long as she could remember, and it had never varied—unlike Cannonball Island, which showed signs of change, something Chrissie thought she’d never see, but it was obvious that a new day was coming. Houses that had been boarded up during her last visit were showing signs of life. Owen’s new wife, Cass, was an architect whose father had bought up most of those abandoned places, and Cass was redesigning them for modern living. Chrissie and Cass had discussed it several times, and Chrissie’d been fascinated by the fact that almost all the locals had been on board with the idea. Ruby’d been 100 percent behind the project, Cass had confided, so pretty much everyone else on the island had followed suit. Chrissie climbed the worn wooden steps leading to the wide front porch of the Cannonball Island General Store and pushed open the decrepit door. Inside, an ancient Coca-Cola sign hung over the door, and an old metal bait cooler stood off to one side. There were rows of wooden shelves that supplied the islanders with paper and cleaning products, canned soups and meats, cellophane bags of noodles, bottles of soda and juices, jars of condiments—everything the locals needed on a daily basis, it seemed, except meats and fresh produce. One small freezer held ice cream and some frozen vegetables, and just yesterday, she and Ruby had talked about maybe bringing in some seasonal local produce. The wide-planked wood floor showed the wear of more than two hundred years where countless feet had left their mark, and on the far side of the room stood a round oak table with claw-and-ball feet that dated from the 1870s. Placed next to a window on the sunny side of the building, it was Ruby’s favorite place to sit and read, drink a cup of tea, or pass time with a friend. It was there that Chrissie found her, the day’s newspaper open in front of her and an empty mug at her elbow, her stark white hair pulled back into a tight, neat bun that sat low at the nape of her neck. As usual, Ruby had dressed in one of her favorite outfits, a skirt the color of cotton candy that reached her midcalf and a white blouse with a round collar, a look that never failed to remind Chrissie of her mother’s high school yearbook photo. On her feet she wore white tennis sneakers. Chrissie couldn’t remember her ever wearing any other footwear. “Oh? Who’s coming?” Curious, Chrissie thought. Except for Lis and Alec, or Owen and Cass, Ruby hadn’t had dinner guests since Chrissie had come to stay. “Whatever moves you be fine with me. You be clever that way.” Ruby’s attention had turned to an article in the paper, thereby effectively dismissing her great-granddaughter. Chrissie picked up the cup and took it into the kitchen, where she prepared another cup of hot water for Ruby. She carried it into the store along with a fresh tea bag. God forbid anyone but Ruby should dunk her tea bag in her mug—Chrissie’d made that mistake many years ago and hadn’t repeated the infraction since. “By and by,” Ruby replied. Chrissie looked at the clock that hung over the counter where the old cash register stood on the other side of the store. It was almost seven. Ruby glanced at the door as if waiting seconds before it opened. A spry, tiny, birdlike woman with white hair caught up in a bun atop her head and wearing a light green polo shirt and a short skirt patterned with tropical leaves entered, waving and smiling as if she were Ruby’s best friend. Which, in fact, she was. “Am I late?” Grace Sinclair closed the door behind her. “Chrissie, dear, you’re starting to get some color in your face. Before long, you’ll be sporting a tan.” Grace hustled across the store and joined Ruby at the table. “I’m going to go on and get dinner started.” Chrissie headed for Ruby’s private living quarters in the back half of the store’s first floor. The kitchen, sitting room, bedroom, and bath were all new since Chrissie’s last visit. Alec had reclaimed unused storage areas and fashioned the space into new rooms for Ruby, who, everyone agreed, should not have been hiking up to the second floor every night to her bedroom. Her new apartment was perfectly suited to her needs, and she’d been more than happy to move into it. Chrissie loved working in the kitchen, and she’d come to look forward to preparing meals for herself and Ruby, and occasionally Lis and Owen and their spouses. Within a few miles, there were organic farms where vegetables were field-grown in the summer and grown in greenhouses in the winter. There were farms where chicken and organic eggs could be purchased inexpensively, and of course there was the bounty from the bay—rockfish and oysters and blue claw crabs in their season. Chrissie enjoyed shopping for herself and Ruby in the mornings, then using her purchases to re-create dishes she’d learned from Rob or dream up new ones of her own. When she first arrived on the island, she’d started out baking on Sundays and Wednesdays, so Ruby could sell fresh baked goods to the store’s customers. It was her way of paying back Ruby’s kind offer of an indefinite home and making a contribution. Early mornings, when the watermen crowded in for their coffee and snacks and lunch provisions, she’d set out a tray of whatever she’d baked, and most days by 7 a.m., the tray would be empty. At the request of their customers, she was now baking almost every night of the week: brownies—chocolate and blondies—muffins, scones, cupcakes, cookies, and various kinds of cakes that she sliced into large wedges and wrapped in cellophane. They all sold out by the time the watermen left for their boats. Ruby’d seemed more pleased by Chrissie’s initiative than by the unexpected income. During the days, Chrissie worked in the store with Ruby, checking invoices when deliveries were made, stocking the shelves, helping customers carry their purchases to their cars—whatever needed to be done. She was infinitely grateful to Ruby for giving her time to heal from her five-year ordeal with Doug, and though Ruby had never asked, it was as if she’d known what Chrissie’d gone through. Of course Ruby had known. Chrissie heard it in her voice when she’d called to say she was coming back for Lis’s wedding, and she’d seen it in her eyes when she’d stepped out of her car when she arrived on the island in the wee hours of the morning after having driven since ten the night before. Chrissie’d eased into the parking lot at the store very slowly, her headlights off, intending to stay in her car until the morning rather than awaken and very possibly frighten Ruby at such an hour. Chrissie should have known better. The light over the porch was lit, and a figure sat in one of the rocking chairs. Chrissie hadn’t had to think twice about who it was. “You be done with him and all his nonsense” were the first words Ruby’d said when Chrissie came up the steps. “I am done, Gigi.” She’d wanted to ask Ruby how much she knew, but she didn’t have the strength. That would be a conversation for another time. Growing up, she’d heard the stories about Ruby’s “eye.” For years she hadn’t wanted to ask, fearing it might be considered bad manners to ask someone if they had psychic abilities, where they’d come from, and how did one manage such a thing, if in fact it could be managed. And since family legend held that Mary Louise, Ruby’s mother, had possessed such a gift, was it hereditary? These days, Chrissie woke early so Ruby didn’t have to, put the coffee on in the store, and took care of business until Ruby made her way from her apartment to the counter, and did whatever she could think of to make Ruby’s life easier. In return, Ruby gave her a home and enough time off during the day for Chrissie to wander the island and reacquaint herself with the place her ancestors had helped settle. The homes of her Blake and Singer relatives were among those that had been sold to Cass’s father’s construction company for renovating, and the small private family graveyards commonly found next to the old homes still held the remains of many of Chrissie’s kin. She walked among the gravestones, reading the names of those who were long gone, and even helped Cass tend the plots that had been overgrown and forgotten. Her life on the island was simple, and in its own way, productive, but most of all, it was healing. The bruises on her body had disappeared months ago, but the bruises to her psyche had taken longer to heal. She had motivational tapes and books about finding oneself and one’s best life. She listened and she read, and over the period of months since she arrived on the island the previous fall, she’d grown stronger. Why it had taken her a full five years to find herself she still wasn’t certain. She was pretty sure she’d loved Doug back when they first started out, but she was hard-pressed to remember what it felt like. For Chrissie, part of the healing process involved cooking. That she could cook every day in a beautiful new kitchen made her happy. She had time to experiment and time to re-create dishes she’d watched Rob make at the restaurant, and to create dishes of her own with all the wonderful ingredients that were available to her. Sometimes when she’d made something especially delicious, she’d send a photo to Rob, no text, just the photo. Though she’d tossed her old phone the day she left so Doug couldn’t trace her whereabouts, she knew that even without recognizing her new phone number, Rob would know instinctively whom the texts were from. His return message would always be something simple, like Wow! or So proud! or Go, you! Always with the exclamation, never a name. Oysters were on the menu for Ruby and Grace, and Chrissie was happy that something had moved her to buy a few extra that morning. Maybe I inherited the eye from Gigi, she mused as she took the bowl of shellfish from the refrigerator. Since arriving on the island, she’d experimented with any number of ways to prepare the oysters and crabs that were so bountiful. Tonight, she’d sauté the oysters in butter, some herbs, and white wine. She’d serve them over buttered toast next to fresh bright green asparagus spears she’d bought that morning, and some roasted cherry tomatoes with garlic and onion. She’d stopped at a nearby farm that grew greens all winter long in a greenhouse, and she’d picked up avocados and grapefruits at the market, and from those ingredients she’d make a salad. There were red onions in the pantry and leftover vinaigrette in the fridge. She worked steadily, humming and occasionally singing along with a song playing on Ruby’s radio on the counter. It was set to a station that played only tunes from the 1940s, and over the past several months, Chrissie’d learned the words to many of them. For her, the songs, the meal preparation, the vibe in this old building were both comforting and energizing. 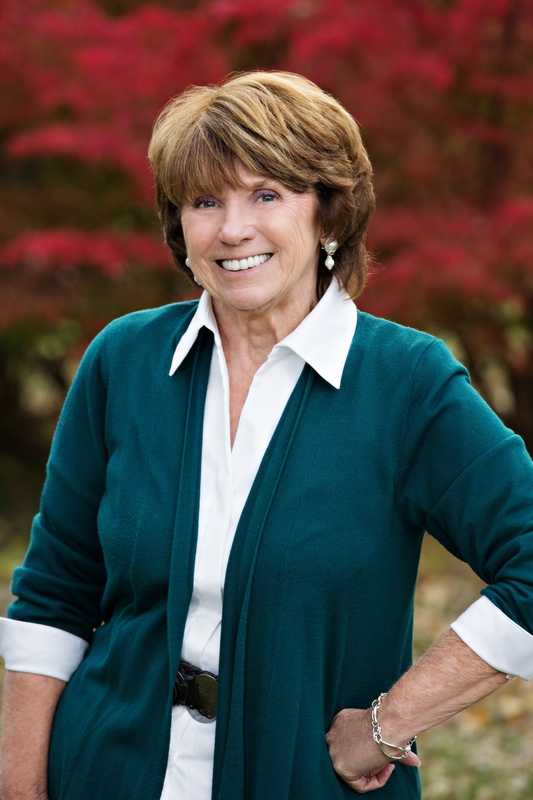 She’d slept well in the room on the second floor that had once been reserved for Lis, and she ate well because she was a firm believer in the healing properties of food. Being with people you loved, people who loved you, was healing as well. “I’ll find them, thanks.” Chrissie went through the den where shelves for Ruby’s books lined one entire wall and her large-screen TV hung on another. A closed door led into an area that still served as storage. It took a few minutes, but Chrissie located the folding card table and three chairs. She brought them all into the den and set them up in front of the window that faced the bay. The chairs were a snap, but the table proved more challenging. “You need a hand with that?” Ruby asked as she and Grace came into the room. Chrissie had the table facedown on the floor. Chrissie managed to get all four legs secured, then, with Grace’s help, turned the table right-side up. “Used to play cards on it, why do you think?” Ruby frowned and took a seat next to the window. “Sometimes one, sometimes the other. Why so many questions?” Ruby asked. “I guess you told me.” Chrissie suppressed a grin. Chrissie disappeared into the kitchen, then returned with a platter of oysters already on their buttered toast points in one hand and a bowl of asparagus in the other. She placed them on the table, then brought out the roasted tomatoes and the salad. After Ruby and Grace had been served, Chrissie served herself. “Thank you.” Chrissie smiled at the compliment. “And he taught you well, I daresay.” Grace took another bite and rolled her eyes. “Delicious,” she repeated. “I’m glad you like them.” Chrissie could feel herself beginning to blush. Grace continued to comment on each of Chrissie’s dishes, ending with the dessert—scones that had been left over from the morning and had been heated and topped with whipped cream and a warm compote she’d made with some cranberries, chopped apples, and oranges. “Now, that was one of the tastiest scones I’ve had in a very long time,” Grace said after she’d taken several bites. “Chrissie does a lot of things better than most,” Ruby said. “He taught you well, dear.” Grace exchanged a look with Ruby. “Might be I’d have another one of those scones if there be some tea to go with it,” Ruby said pointedly. “Nothing wrong with sharing with a friend,” Grace said. “I guess not.” Still, Chrissie felt slightly embarrassed that Ruby had tried to show her off. “That all you have to say?” Ruby asked, one perfectly white eyebrow raised. “Thank you.” Chrissie stepped back to the table and hugged her. “It makes me happy to know that you think so much of my cooking that you wanted to share it with your best friend.” She kissed the top of Ruby’s head, and before the woman could react, Chrissie ducked into the kitchen. Ruby’s displays of affection were few and far between, and it always seemed to embarrass her when others were overt in showing their love for her. Chrissie cleared the table and went back into the kitchen, where she filled the tea kettle with water and placed it on a burner, all the while listening to the soft chatter from the other room. It pleased her to see Ruby happy and relaxed with her friend, and it occurred to her that almost every day since she’d arrived on the island had been pretty much like this one. Right from the start, she’d taken over the cooking for Ruby, and had enjoyed the easy smiles and gentle laughter of the islanders. It had been years since she’d lived in such a place, a place where there was no angry shouting or the fear of saying the wrong thing, a place where people listened when you spoke and cared what you thought. Right now, Chrissie thought that might be enough, regardless of what else may be missing in her life. "Rich with local history, familiar characters (practical, fierce, and often clairvoyant centenarian Ruby is a standout), and the slow-paced, downhome flavor of the bay, Stewart's latest is certain to please fans and add a few new ones. A laid-back summertime charmer—with a dollop of magic and a perilous edge."